IU 12 offers E-rate Consulting Services. 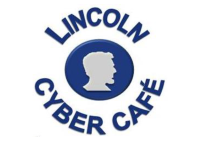 The Lincoln Cyber Café seeks to partner with leaders in the educational industry to provide our schools with the latest products and services available to help our students, our teachers and our schools meet the needs of today’s high-stakes, data-driven and standards aligned marketplace. The Lincoln Intermediate Unit provides conferencing services that include a fully featured Conference Center with more than fifteen rooms, as well as web conferencing and audio / visual support and services. Our Educational Technology Services group would love to help you with any questions or concerns you may have! The LIU has partnered with the following organizations through our ETAC meetings. See the list of vendors. The Berks County IU, along with Nearpod, offers IU 12 and member districts an affordable solution to a mobile learning platform that allows teachers to create, synchronize, and share interactive presentations with their students’ devices in real time. Lincoln Intermediate Unit 12 and One Call Now have teamed up to offer Pennsylvania School Districts and Educational Entities an Automated Mass Notification System. Sweet, Stevens, Katz & WIlliams LLP is now offering a pool-counsel for Technology in Education. Building on their successful pool counsel program for special education, this service is designed to pool the collective resources of member Districts and Intermediate Units to provide legal support in the complicated and constantly-changing legal landscape that surrounds education technology. Lincoln Intermediate Unit offers two methods for STEM Consulting Services: LIU12 STEM Consortium and additional consultation services.